An alternative investment is any investment that falls outside the traditional areas of cash, bonds and stocks. Alternative investments include investments in tangible assets, such as art and wine, as well as financial assets, like cryptocurrency and private equity. Investing in these sorts of assets often necessitates a particularly high level of analysis as it can be difficult to determine their current market value; think, for example, the level of expertise needed to know which work of art is most likely to appreciate in value over the years. It's up to you which, if any, alternatives you decide to include in your portfolio. The good news is that the range of options available to investors has increased substantially over the years. Here are a few examples. Commercial or residential real estate can be a profitable asset to hold in any portfolio for both short- and long-term strategies. Property investments can range as far and wide as buying undervalued properties, renovating and selling for a profit, to buying a share of a commercial property through a peer-to-peer property-focused crowdfunding website where the property is managed, and rented out, by the platform. Further, there are a number of tax-efficient vehicles designed for the property asset class. Real Estate Investment Trusts (REITS) and the Innovation ISA offer tax breaks to those who invest in property (and other assets, as in the case of the Innovation ISA) through them. Property does have its downside: the market is generally cyclical and will go through periods of decreasing value. While this may impact some shorter-term investors, in the long-term, property has generally been seen to increase in value. While you may see these as pastimes rather than investments, there are considerable returns to be made for those astute enough to recognise a smart purchase. Wine has long been a source of not only enjoyment, but investment as well. In relation to returns, between 2003 and 2011 prices of the most sought-after wines rose by more than 250% (The Telegraph, August 2014). Antiques, classic cars, art and collectibles have also seen price rises in recent years. However, these assets often rise and fall in cycles, so it’s important to understand the asset trend and when the next downturn might occur. Similar to property, many antiques (but not all) appreciate as they become older and harder to find. A hedge fund is a pooled fund of cash managed by an investment manager who selects which securities to invest in. Hedge funds enable you to diversify into multiple asset classes and complex structures, thereby helping to spread the risk of your portfolio. While hedge funds and mutual funds have some things in common, there are many differences between the two that you should know about. The rise of the hedge fund is often attributed to the bull markets found in the US in the 1920s, prior to the great depression. Today, several trillion dollars are under management by hedge funds. While hedge funds have proved to be fairly reliable at gaining returns for investors, the fees charged for participating in these funds are often high; the standard fee is around 2% of assets under management and the fund manager takes a cut of the profits returned. UK peer-to-peer lending has been on the rise for the last decade, with several billion pounds lent out annually. Peer-to-peer platforms cut out many of the middlemen in the lending process, and therefore may be able to offer both borrower and lender better rates than they might get from their bank. There is a wide range of opportunities for investors to choose from, with the minimum investment amounts starting very low (in the tens of pounds). Additionally, UK investors can receive tax advantages when they lend through an Innovation ISA, which eliminates taxes paid on returns. Still a relatively new way for retail investors to add alternative investments to their portfolios, angel investing has exploded in the past two decades thanks to popular startup investing shows like Shark Tank and Dragons’ Den, as well as the emergence of online platforms offering this type of investment (psst – we're one of them!). Angel investing enables vetted investors to assess investment opportunities pitched to them by entrepreneurs and decide whether or not to take an equity stake in the early-stage business. Nesta’s 'Siding with the Angels' report shows that early-stage investors, often referred to as ‘business angels’, have been able to return an annual 22% IRO over a period of roughly ten years. Annuities first became available to individual investors in the early 1800s, when a Pennsylvania life insurance company began marketing ready-made contracts to the public. In the 200+ years that they’ve been around, the market has grown to over £5bn in annual sales in the UK alone. In short, an annuity is an investment that pays you a fixed sum per year, for life (or a set period of time) and which can be inherited by an heir. Interestingly, annuities are considered an insurance product rather than a pure investment. When looking at investing in an annuity, be sure to factor in the associated fees as these can quickly add up; some annuities charge 2%–3% per year and many have steep early withdrawal fees. Venture capital (VC) funds diversify investor exposure by investing into multiple early-stage ventures. Early-stage investments are very high risk and far more likely to fail than they are to succeed – but those that do well can make investors significant returns. 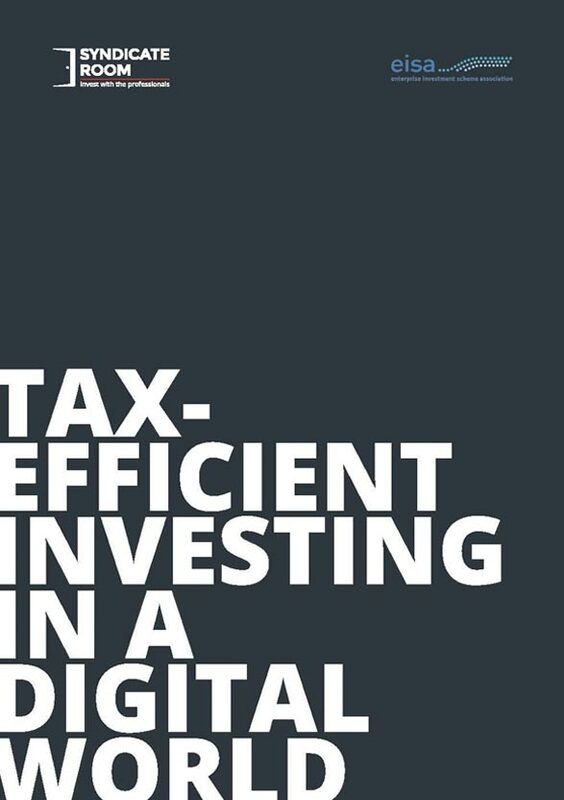 In the UK these funds can also offer SEIS and EIS tax benefits, which can cover 50% of the initial investment. Venture capital, like angel investing, is one of the riskiest and most illiquid asset classes to hold. Investors are likely to wait between seven and ten years before they start to see money back, and most venture funds are lucky to return investors their initial investment. This is because the underlying investments – early-stage companies – have a high probability of failure. In a typical VC fund, the hope is that one company will do very well and more than cover the costs of all the losses realised in the other investments. In a portfolio of ten companies, five or six will completely fail, two or three will potentially return the original investment, and one or two might give some form of positive return. Forex, often referred to as 'foreign exchange', is the buying and selling of different currencies to exploit fluctuations in the marketplaces (through arbitrage) or adjustments in market prices over time: a decentralised global market in which all the world's currencies trade. It is the largest, most liquid market in the world with an average daily trading volume exceeding $5trln. The incredible thing about Forex is that the market literally never sleeps. Prices are constantly fluctuating as world events unfold and investors may wake up to find a natural disaster, or other event, has caused their holdings to rocket up or plunge down. Crypto/blockchain was all the rage in 2017 and, while the markets cooled in 2018, there continues to be a lot of hype around the potential for the underlying technology, blockchain. Cryptocurrencies are digital currencies that aim to operate independently of a centralised governing body. Crypto refers to the cryptography used to ensure transactions of the currency is held safe, and the register of transactions is immutable (impossible to be tampered with over time). The amount of cryptocurrencies available continues to grow, with each claiming some form of unique offering, though most trace their origin to the original: Bitcoin. Those who got into cryptocurrencies before the craze hit in 2017 are likely to have made a small fortune. However, many who came at the tail end of the wave will likely have lost out. With governments still debating over how crypto will be regulated, investors should be wary that some currencies are likely to be completely abandoned should they fall into the category of unregulated security. There are, of course, a number of individuals who don’t believe alternatives belong in a portfolio. One of these naysayers is George Papadopoulos, a wealth manager at Novi. George cites a lack of liquidity and transparency in his reasoning – a point that does hold true for certain alternatives. Other sources, including Baird & Co's research as cited by the Wall Street Journal, indicates that including alternatives in your portfolio can increase the likelihood of generating returns. As with any investment, you need to be fastidious in your due diligence prior to committing your cash to an alternative. Take a deep look at the investment requirements and ensure that your portfolio can accommodate the potential risk and longer-term holding positions that may be required. Remember that historical performance is not an indication of future returns, and seek the guidance of your financial adviser where necessary.